Below is a list of groups that collectively comprise Rollinsford Town Government. Some officials are elected by the residents, while others are appointed by the Select Board after volunteering. Read about each group to learn what they do. The Select Board is comprised of three elected officials who serve as the executive branch of our town’s government, collectively running the town for us. They are responsible for overseeing and working in conjunction with the town’s committees and commissions to develop the town’s operating budget, and to set public policy, basic regulations, licensing, and fees as needed. They also call town meetings and elections. If you have an issue that you would like the town to address, email the board or attend a meeting. The Select Board meets every Monday at 6:30pm at the Town Hall. The School Board consists of 5 elected members. They are responsible for managing the school budget and they represent the public in overseeing the operations of the school. The school board works to establish a plan for Rollinsford’s students that reflects the values of the board, our community, and school staff. The Budget Committee consists of 9 elected members and three ex officio representatives—one each from the Select Board, School Board, and Water & Sewer Commission. Their job is an advisory one, representing public interest with regard to the town budget. 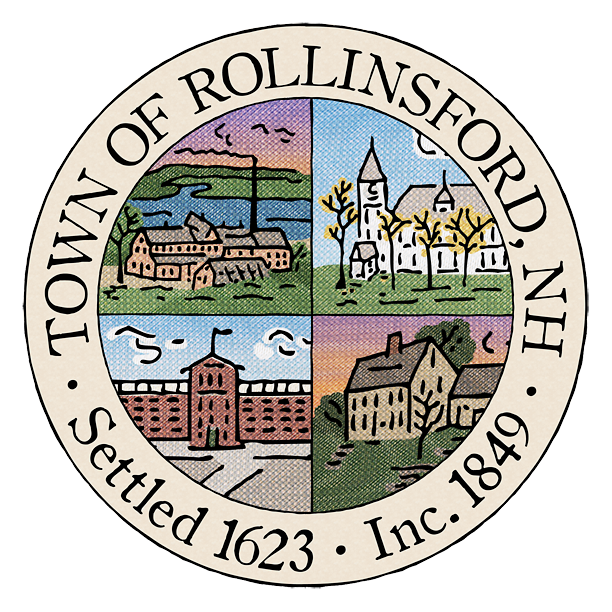 Each year, they review the proposed operating budgets, capital and warrant articles for the Town of Rollinsford. The Committee then recommends or suggests modifications to the budget to the voters, who have the final say on the ballot and at the Town Meeting. Fall is Budget Season! If you want to get involved and learn what’s happening first-hand, that is the most crucial time to attend meetings! The Planning Board manages all planning operations in the town, including subdivision plans and lot line adjustments. They are in charge of overseeing the town’s Master Plan. (The Master Plan is our town’s long-range vision for Rollinsford. It defines our intentions of how lands should be used with consideration to public health and safety, quality of life, and the overall welfare of our residents.) Planning Board members are appointed by the Select Board. One ex officio member of the Select Board also serves. If a resident wants to do something that the town’s zoning ordinances don’t allow, they can appeal for a variance. The Zoning Board of Appeals is a quasi-judicial group of appointed members that meet to determine whether a property owner is entitled to a variance from regulations within the zoning ordinance. This commission consists of elected officials who live within the Rollinsford Water District. They oversee the budget and the operations of the water and sewer systems of the town. They are responsible for keeping our water clean and safe. Members are elected at the Water District Annual Meeting, a special meeting that generally occurs shortly after the spring Town Meeting. The Highway Safety Committee is an important group. It consists of the police chief, the road agent, and other community members. Together, they advise the select board about current and potential safety hazards in the town. The also create mitigation plans to have on hand to keep residents safe in case of emergencies. The Historical Committee advises the Select Board on issues related to the preservation and celebration of Rollinsford history. As part of its duties, the committee works to hold forums, make presentations, and promote educational activities related to Rollinsford’s rich heritage. They are also authorized to accept gifts of historical items on behalf of the town. The Recreation Commission is comprised of officials who are elected at Town Meeting in the spring. Positions include Fence Viewer, Tree Warden, and Surveyors of Wood and Lumber. Members of the Recreation Committee are appointed by the Select Board to oversee rec programs in the town. What does ex officio mean? By definition, ex officio means “by virtue of one’s position.” When someone serves on a board or committee ex officio, they’re not elected or appointed to the group; they’re selected to be a member because they already serve on another board. For example, the budget committee is set up to have nine elected members and three ex officio members—one from the School Board, one from the Select Board, and one from the Water & Sewer commission.